Pictures from Lagos will convince you to see this country, ASAP. When you get a glimpse of the rocky cliffs floating in impossibly pretty water found in Lagos, I can nearly promise you’ll want to shift things around to visit for yourself. Any city this picturesque needs to be on your travel list. Wondering what other gems you’re missing in Europe? This Europe Destination Guide is crammed full of our favorite spots. The country of Portugal is hiding a few of our favorite places ever. 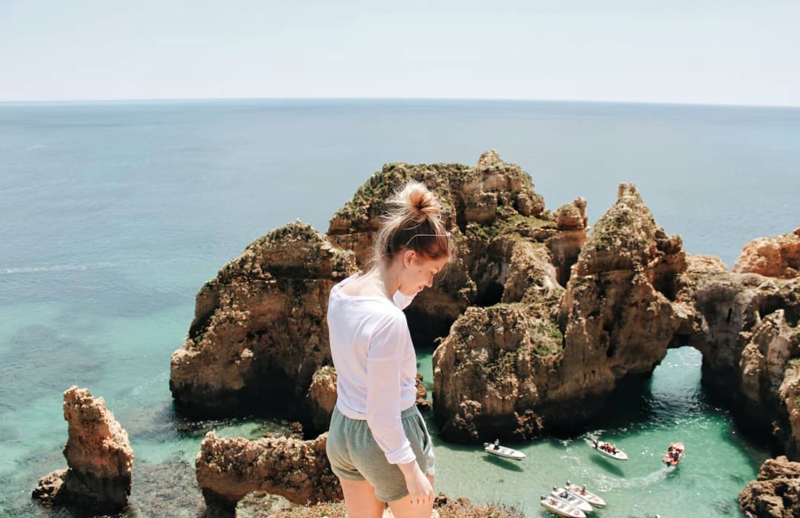 But if you’re into a pretty beach town dripping with colorful flowers and stunning views around every corner, the area of the Algarve region is dotted with coastal downs that you should take your time exploring. Our current costal town crush? Lagos, Portugal. With Lagos situated right on the water, you’ll want to plan days full of lounging at the beaches ... and finding a view where you can stare at foamy turquoise waves crash into the jagged cliffs. This place is beyond pretty, with more than a few beaches to visit. Here are just a few to get you started, though you really can’t go wrong with any of beaches in this place. Cliffs, rock caves to explore, stunning views and pretty beaches to explore? This stretch of sand will keep you busy. You’ll need to climb down some stairs to reach the beaches, but it’s well worth it. Probably the most famous beach in the area (partly due to the views you can get), it almost always wins as “my favorite beach in Algarve”. Take a peek at the anchor cemetery that bookends this particular beach. Hundreds of huge anchors are half buried in the sand, creating a pretty iconic image. A mellow beach with a huge sandy stretch to relax on, Praia Dona Ana is also fringed with restaurants and a wooden boardwalk to explore. Waters are calm, and perfect to just wade out in. It’s quite a large beach, so it’s a popular one to visit when it’s crowded; with so much space, you’ll still find a spot to put your towel down. Once you arrive, you can choose to walk to the nearby island Ihla da Taveria (a short, 1.5 KM walk) or you can pay 1.5 Euros per way to ride the little train that will take you down to the island. Not exactly a beach, but this is the main viewpoint that you’ll see printed on postcards and such around town. You’ll find a few walking paths that will take you along the rocky cliffs giving you more of a view of boats passing in and out of the rocky archways and pristine waters. You can also hire a boat tour to take you around this point from below, if you want a different view. Walking, it’s about 2.5k from the Marina, which is also a fun (and picturesque) place to walk around. Get your classic “everyone, be so jealous of where I’m hanging out today” picture at the top of the wooden and picturesque staircase that leads you down to Praia Do Camilo. It’s a more secluded beach where you can hang out in the little cove, cool off in the waves, and relax on the golden sand. The 250+ steps down and back up are worth the beach! As a head’s up, the very first beach you arrive at is the most crowded, but you can see little caves and coves to pass through at low tide that will bring you to more and more secluded beaches. If you want to avoid more crowds, keep exploring this stretch of sand until you find the perfect spot. Pack up your own food and drinks for the day: there is a small restaurant with questionable hours, so best to bring your own for the day. Oh, and you’ll want to get here early. The tide comes in and there is very limited lounging space on the sand. This is a better “early morning to mid-afternoon beach” rather than a “hang out all day here” beach. Along the beaches, you can find ways to spend your day if you don’t just want to hang out on a beach. 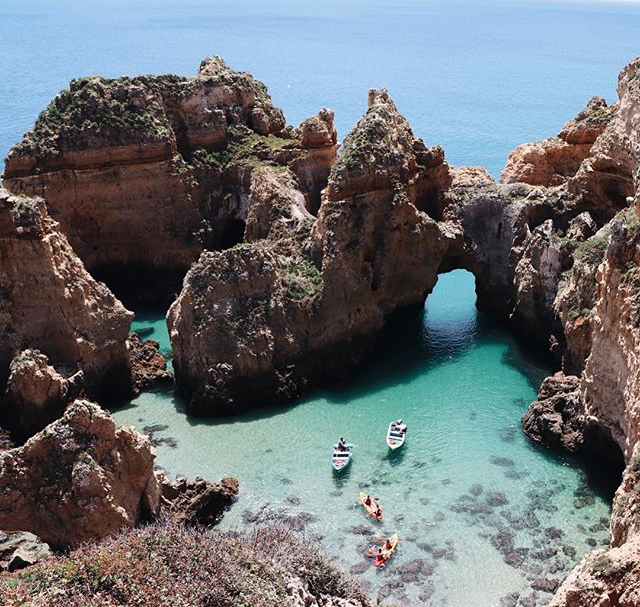 You could visit Praia da Batata, where you can take a kayak tour around that pretty, pretty coastline. You’ll find loads of tour companies who will take you out for a day of exploring caves and archways in that turquoise water. Plan on paying around 25 Euros for a 2-3 hour tour. This is also a popular way to see the surrounding little islets and sea-caves. Along the main road in Lagos you'll find vendors boasting boat tours to take you out for the day. They can range wildly in price, but are an option if you don't want to kayak ... though you can more easily maneuver the kayak into those harder-to-see-and-reach places than you can in a boat. The beaches listed above are more for sunbathing or hanging out. If you want to surf, Praia do Amando and Praia da Affifana have better wave breaks. Mmkay so this place is just a bit out of reach from Lagos, but makes for a rad day trip. If you have the time, consider trekking out to explore this beyond colorful and whimsical castle. It’s a stunner. 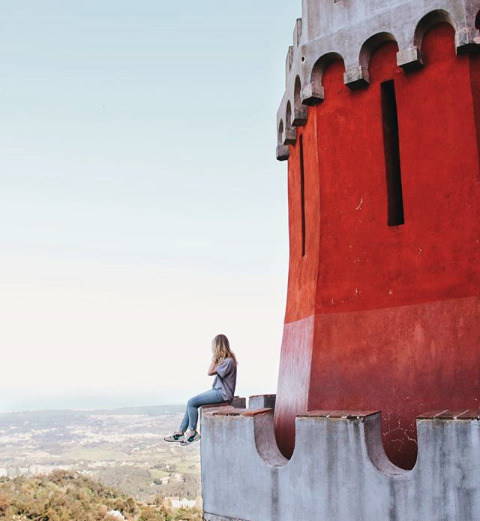 A hodgepodge of yellow and red colors, plus Moorish and and Gothic architectural styles, Pena Palace is one of the country’s most iconic UNESCO sites. It’s been destroyed and remodeled over the a few hundred years and produced a striking summer home to the royal family, and a historic tourist favorite if you visit today. Some say it inspired the classic German Neuschwanstein Castle (which inspired Walt Disney's castle in Disneyland). You can easily reach Sintra from Lisbon, but from Lagos, you’ll need to head back to Faro, then catch a train from Faro to Sintra. It’s a 3.5 - 4 hour train ride and tickets are about 24 Euro for a 2nd class ticket, more for a 1st class ticket. You can check specifics on this Virail website, where you can also book your tickets. From the Sintra train station, it’s a short bus ride to the castle. Just hop on Bus 434 (the Pena Line) and get off at Pena Palace. The buses depart every 15 minutes or so, from 9:30 AM until 6:20 PM. Pay the driver directly; a single way ticket is 3.90 Euros, but you can purchase a 6.90 Euro ticket that works for the entire “tourist loop” that will take you from the train station to the palace and back to the train station (with a few stops along the way). Get information about the 434 bus here. In Portugal, probably a few months. In Lagos? You can do your fair share of exploring in about two days, a couple more if you plan on traveling all along the coast to explore a few more of the charming towns that perch on these cream-colored cliffs. Lagos is the most well-known with the best sites according to some, but places like Tavira or Santa Luzia are also lovely. 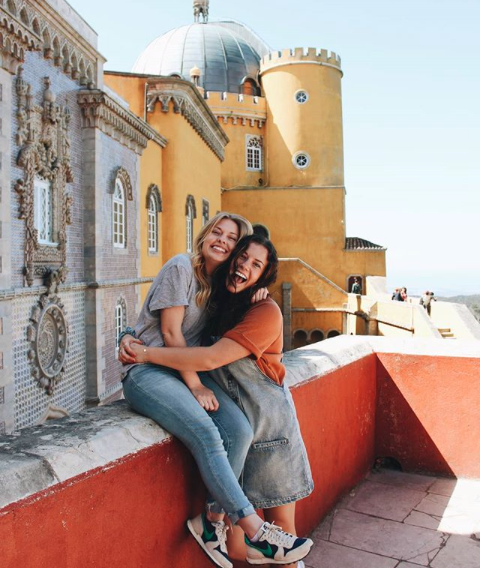 We suggest spending a day or two in Lisbon (and the Pena Palace) then hopping down for a couple of days in Lagos … and if that’s all you have time for, that sounds like a stellar itinerary, though Portugal has more than its fair share of places to fall in love with if you have more time. When it comes to food, seafood is king. For a more local experience, stay away from crowded areas filled with tourists and avoid menus that have the word “tourist” or have pictures of the food. Best to tuck into a restaurant that only has menus in Portuguese for a really local meal. When you do go to a restaurant, you might be served a selection of olives and breads. Feel free to taste them, just know that you’ll be charged (they aren’t a free appetizer, like you’d get in some Italian restaurants in the US). Like any city that tourists love, you’ll find high rise hotels, little budget spaces, and AirBnBs. For Lagos, AirBnB is going to be your best bet. Volunteers in the past have loved staying at AirBnBs because you can split the rate of renting out the apartment with your group, and most spaces have a little kitchen you can use which cuts down on your food budget (the seafood is divine here, but a bit on the pricey side, especially since you’re paying in the Euro). 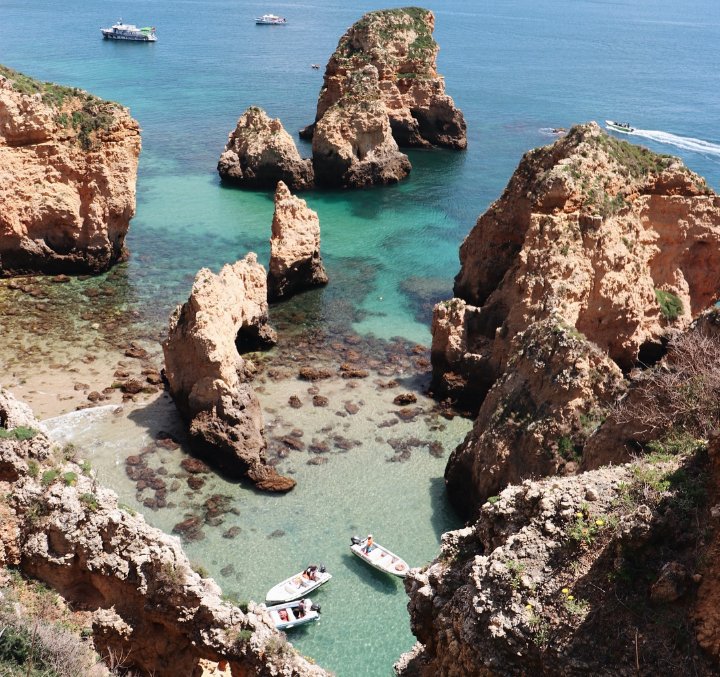 Lagos is a small town found on the tip of Portugal’s southern coast. The closest airport to fly into or bus station to arrive from? Faro. By Airplane, you’ll want to book a flight to Faro (FAO). You’ll find daily flights from several big European hubs like Berlin, Munich, London, Edinburgh, Amsterdam, Roma, Milan, etc., and of course, Lisbon. Prices vary wildly depending on your airline, but airlines like KLM, Eurowings, Norwegian Air, TAP Air Portugal and a few others make regular flights to FAO. 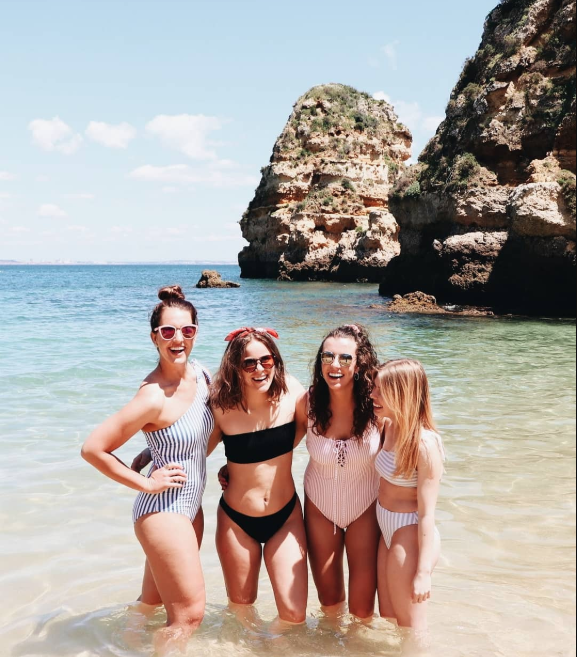 We suggest looking on Skyscanner to see which departure cities work best for your itinerary: In the off season months, you can find roundtrip flights to Faro for under $40 from a handful of European cities! By Bus/Train is also a popular option, especially those arriving form Lisbon. EVA and Rede Expresso are two bus companies that make regular drives from Lisbon to Faro. It’s about four hours, with tickets for a roundtrip adventure hang around 36 Euros for either company. Alright, once you arrive in Faro, it’s a drive to get to the little coastal cities like Lagos. A taxi ride from the airport (or train station) to the city center is about 10 - 15 Euros, where you can catch a bus or train to Lagos. To get to the Faro city center, you could also take a bus from the airport (Bus 16) which departs every hour and will take you to the Faro bus station. Do not get on the #16 bus that reads “Praia de Faro”: It’s going to the Faro beach, not the center which you want. It’s a 20 minute bus ride and tickets are 2.25 Euros. Pay the driver directly. Buses run from 5:20 AM to 12:10 AM. Check the exact schedule here. Head’s up: You will want to get into Faro early, since the buses and trains to get to you to Lagos don’t really run past 7:00 or 8:00 PM. Bus To Lagos: A bus fare to Lagos is 5.35 Euro and takes just over two hours to arrive. Check the time table here (and other information … it takes a minute to puzzle out, but it’s there). There are several buses that run daily (including weekends), mostly in the mornings. Or Train To Lagos: It’s a 7.40 Euro ticket (15 Euros if you book round trip, with about 10 trains running from Faro to Lagos daily). The train ride is just shy of two hours. Check the time table here. You can’t book online, so you’ll need to book in person once you arrive at the station. Here’s another resource to double check times and prices for weekdays, weekends and holidays. It’s confusing, but there is a ton of helpful info there. Alright, you’ve made it to Lagos! It’s worth the connections, trust me. Once you arrive, it’s very easy to get around. The little town is very walkable, so you’ll just need a comfy pair of shoes to walk around in. Download Google Maps to help you get around, or just wander. Convinced you need a trip to Europe? 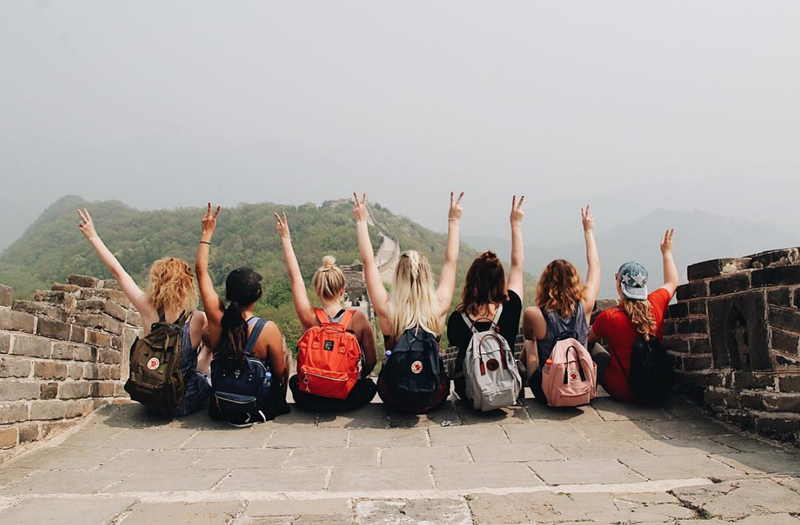 We think you're set to spend a semester living in Europe! ILP sends college-aged volunteers abroad to a few countries in Europe to teach English or volunteer in an orphanage. 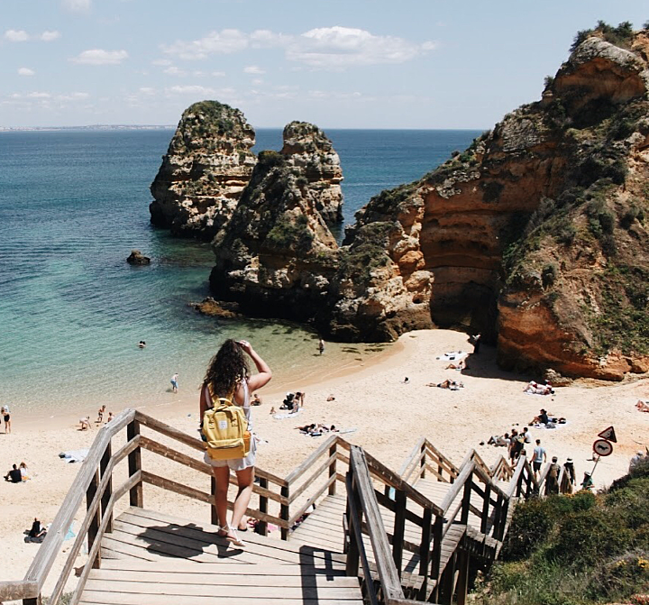 With weekends off to explore and travel to nearby countries, you also have vacation time to see places like Portugal.